Highlights of the Sky Bet Championship game between Fulham and Nottingham Forest. Fulham prepared for Sunday's FA Cup fifth-round tie against Tottenham with a hard-fought 3-2 victory over Nottingham Forest. Tom Cairney and Lucas Piazon nudged Fulham ahead, after an early Pajtim Kasami effort, before Forest levelled just after the break through Ben Brereton. But an own goal from Jack Hobbs in the 72nd minute gave the hosts all three points. Ross McCormack made his first start for the visitors since leaving Aston Villa for the City Ground last month, and it came coincidentally against one of his former clubs. Interim manager Gary Brazil also opted for Vladimir Stojkovic in goal to replace Stephen Henderson. The visitors made an ideal start when after just two minutes Kasami volleyed with his left foot past David Button. Fulham appeared out of sorts early on, with too many misplaced passes, which caused notable anxiety amongst the home support. Their play improved and Ryan Sessegnon forced Stojkovic to palm away a shot, before the hosts drew level and then swept ahead. Sessegnon's pass found captain Cairney to slot home the equaliser on the half-hour mark. Barely two minutes later Piazon made a fine solo run into the box, with Forest defenders looking flat-footed, to turn the ball past Stojkovic. 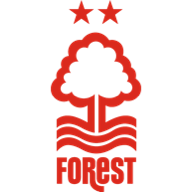 Forest were in need of inspiration, and they received it just two minutes after the restart, when Brereton headed home a cross by Daniel Fox. Kasami nearly gave Forest the lead again just before the hour mark, when after finding space in a crowded penalty area he shot into the side netting. 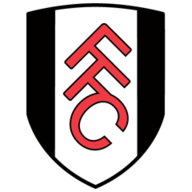 Fulham made a change as Neeskens Kebano replaced Floyd Ayite and the substitute caused problems for the Forest defence and his strike was was deflected into his own net by Hobbs. "I believe we have played better football. Today was not our best day, we didn't play a brilliant game but after a very soft start to the game, we found so many problems but we overcame them, then we win the game. "The last two games at home we have conceded four goals, both oppositions put us under so many stressful situations. We need to do better, we need the fans. "I have to be satisfied with the last 10 minutes. Neeskens Kebano has brought us four points and it's important that he's working hard. He's fighting for a space in the team." "I thought we did enough in the game to get ourselves a draw, we asked quite a lot of questions of Fulham. "We were perhaps a little bit wasteful in terms of a final pass in that early period. They had to change their shape to handle us. "We just need to show a bit more game savvy at a certain point of the first half, a little bit more discipline. They got through us too easily. "I thought we were a threat at the top of the pitch and probably didn't make enough of that threat. Their third goal was a weak goal to lose a game on. But we'll learn from it, there were a lot of positives to take from the game."